Who needs retail, we got new online cards! Four GPK cards today including Michael Barnard debut! Will collectors go ape over today's online offer??? I really want to like the rampaging card but the art is just... Lazy. Because I used to love the game so much, I kind of like the Rampage card. Rampage was a sweet game in small doses. The card isn't any good though. not sure what in the holy hell this is...please tell me this art style is a reference i am not getting. also no shading other than the rosecea cheeks. What an embarrassment to the GPK brand. I would be extremely disappointing if I got this as a sketch card, if Topps paid 1 penny for this POS they got ripped off. Its just so bad in every way. 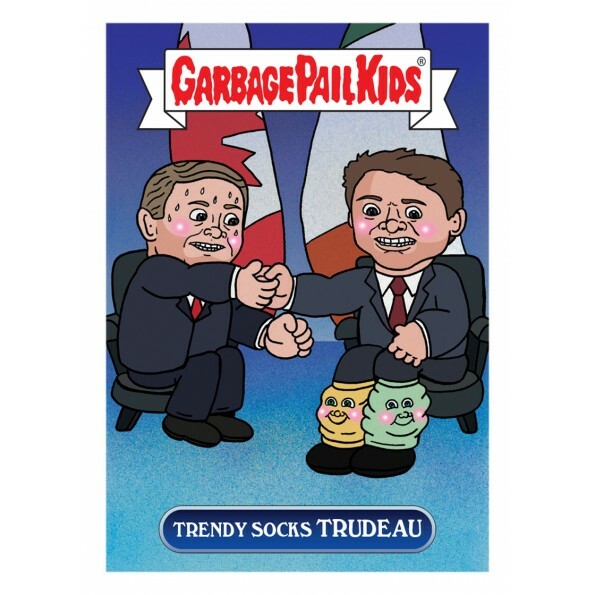 Good lord, I was going to repost that toilet full of $hit again, but even that looks better than this atrocity the tards at Topps are wrongfully calling a GPK. Can anyone take guess what the GPK Art director looks like? I generally try not to comment on art as everyone has different tastes, and also I can't draw for s**t. But when I first saw this I didn't believe it was actually a GPK card. I still am not sure I believe it. Are these cards still selling for $10 each? I doubt it. My guess is thats a creative dude, if nothing else. Probably dates his pillow but still. they have to be f**cking us...these are getting further and further from garbage pail kids. who is the "artist" on this blasphemous p.o.s.? Honey booboo? Ok we are in full on troll mode. Complete and utterly worthless. The only reason to release something this awful is to mess with us. I give up, I can't take anymore just tell us what you want. In other news to see more of this amazing artwork check out some Trash Can Tots in my collection thread. 👎 Worst parody EVER. Also worst digital image EVER. I guess Im is learning how to use MS Paint to cut even more corners?